5086 aluminum sheet for the Al-Mg rust-proof aluminum alloy, non-heat treatment enhanced. The alloy has a low magnesium content, high plasticity, good formability, and low strength, commonly used in shipbuilding, ship structural parts will be able to use 5086 aluminum. The corrosion resistance of 5086 aluminum plate for ship structure is good, it is suitable for use in marine environment. 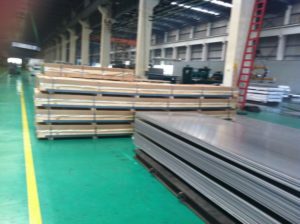 5086 aluminum plate is suitable for ship structure. Ship structure material is resistant to corrosion, high strength, and has certain stability and weldability. Ship structure with 5086 alloy aluminum used in the marine environment, its good weldability, semi-cold cherry blossom state can improve the machinability.